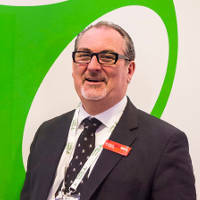 Nick has worked as a sales and marketing director of EveryMatrix since 2010. He is a senior business development director with over 10 years successful experience in managing, maintaining, overseeing the development and launch of a range of online casino, sports book, multi-player and soft entertainment games/sites. EveryMatrix is an independent company offering award-winning software solutions to the iGaming industry. It was founded in 2008 by a team of innovative and visionary people with the aim to create a fully flexible and tailored software solution for operators whilst working with high-profile iGaming partners. With offices across Europe, Asia and North America, EveryMatrix is able to deliver custom-built solutions in these regions within our product range, including the award-winning sports betting solution, OddsMatrix, which is equipped with more than 14,000 live events monthly; CasinoEngine, the largest casino content aggregator currently on the market, with 2,000+ games across 30+ vendors; GamMatrix, the ultimate gaming management and payment processing platform; as well as PartnerMatrix, the complete affiliate and agent management solution. When EveryMatrix started out in 2008 what was the biggest challenge/s the company faced? When the company was first incorporated we embarked on the development of OddsMatrix. The biggest challenges, apart from building a revolutionary sports betting product from the ground up was to find interested parties that wanted a fully managed sports book integrated into a 3rd party or proprietary platform. This was a task in itself, at that time we only had the incumbent platforms that were resistant or incapable of integrating new API’s so these were real challenges. Tell us more about EveryMatrix' role in the iGaming industry and the various software solutions it offers to online casinos, live casinos and bookmakers? How does a live casino work? EveryMatrix is an innovative software development and service provision company. We are always looking to better our products and services by constantly developing new programs and languages that gives our clients the best products possible in a timely cost-effective way. EveryMatrix has 3 main products and we market various modular products. What does this mean? It simply means that the OddsMatrix sports book and our CasinoEngine can be seamless integrated in another platform or underpinned by our own platform GamMatrix. We tailor and deliver solutions to a range of operators from startups to existing operators looking to enhance an existing product range or looking to migrate a new platform. We have the products to meet their demands, if we don’t we develop them because this is what we do-we are a development company that provides award winning services. Did the new tax rate in the United Kingdom have an adverse impact on the company's bottom line? If so, please elaborate? I wouldn’t say it has had an adverse effect on our bottom line but it certainly has been challenging. This is mainly due to the way our systems are configured and how we deliver the products and services by making sure that they comply fully with the UKGC rules and regulations. Of all the iGaming markets (Europe, Japan, Netherlands, North America), which market/s has the most potential and why would you say so? Also, what were the major obsticles the company faced when it entered these markets? Well we have never and don’t intend to take any players from the U.S or any other regulated market that is enforcing their regulations and IP block. We also adhere to all our content providers’ lists of restricted territories, as such we IP block those countries and territories. To answer your question, Europe is the most developed of all the markets mentioned. We focus our core development on this market and look to the regulated countries to deliver our revenues. How many operators does EveryMatrix currently have in its fold? In your expert opinion, what are the characteristics of a reputable online casino? We have a number of operators using a wide range of products and services. Starting with casino operators that have the OddsMatrix sports book integrated into their platform to pure casino operators-taking any range of casino content either via our platform or integrated via API in to theirs because we are not actually an operator. The characteristics of a decent casino operator are those that provide a great customer service experience and manage effective bonus campaigns that attract and retain players. At the same time it also introduces new and varied content to experiment as to what the players in different jurisdictions could be looking for. When it comes to operator licensing most governments are now implementing a de-monopolisation policy. Can you please explain to us what it entails? One could argue that the countries which embarked on de-monopolising gambling, acknowledged the fact that monopoly is no longer feasible since the Internet is not restricted by national frontiers. We encourage this trend since it offers player protection as well as a vaster gaming selections for players. Simultaneously, companies like EveryMatrix and its white-label partners can grow and allows the state to uphold an income via the fees and taxes they charge for the licensing regime. However, some countries which have and are currently liberalising the gaming market, have decided upon fees and tax regimes which are little attractive to operators. This is why all gaming companies are highly selective in the markets they choose to engage in. I think much is yet to happen when developing the licensing regimes. But I think this will come organically as all parties i.e. players, governments and businesses alike have the utmost interest in finding a workable and attractive gambling framework. In the event a player has a payment dispute with one of EveryMatrix' licensed operators which procedure/s must he or she follow? Players must accept the Terms and Condition which EveryMatrix produce and handle. Within the Terms & Conditions the dispute policy is clearly stated. Nonetheless, players’ initial point of contact is our White Label partners and operators liaise with EveryMatrix internal teams. We investigate and make rulings and communicate directly with the player and the operator. But, it also depends on where the dispute originated from as gambling jurisdictions develop different policies. We also incorporate their frameworks into our procedures. All the information already mentioned can be found in the Terms and Conditions which the players have been informed and agreed to during the signup process. Where a player is in dispute with a licensed operator using an EveryMatrix license i.e. a white label, the player must first contact the operator of the site via which ever means are available to them via the site. If this fails to resolve the issue or dispute then the player is welcome to contact EveryMatrix. In turn our compliance, fraud and risk team will adjudicate and make the correct decision on all the information presented to us and what we have in our back office reporting and if the player is correct with their dispute will we take corrective action. Casino Cruise is one of the operators owned and operated by EveryMatrix. A while ago a player lodged a complaint over at Askgamblers.com (http://www.askgamblers.com/casino-complaints/casino-refusal-to-payout). It turned out that the player self-excluded herself, gambled and won. According to Malta's problem gambling policy (correct me if I'm wrong) a player's winnings will be confiscated if the player self-excluded. Can you please corroborate this? Firstly, let me be clear Casino Cruise is not owned by EveryMatrix, rather it is a standard White Label partner. Secondly, our general policy is to protect players who exhibit signs of vulnerability. Note: self-exclusion is for those people who might have a problem with gambling and it is only in our and our partners’ interest to protect such players. Notwithstanding I will not comment on particular cases as this is beyond me. I will say that there can be conflicting interpretations of specific situations and this is precisely why EveryMatrix has an internal compliance and security teams which investigate such cases. These teams understand and follow the legal frameworks within which we operate. They also liaise directly with regulators and alternative dispute resolution parties in such matters. Mobile gambling has taken the igaming world by storm. Do you see it surpass desktop gambling in years to come? Yes, I do see mobile surpassing desktop/Internet gaming purely for the fact that players are now on multiple devices and using a wide range of technology. Simply put, one cannot halt the advancement of technology. Therefore, mobile and tablet gaming will certainly increase especially for live betting, casino-style games, slots and of course hybrid games fusing social elements of gaming with real money winnings. Do you attend any igaming conferences, if you do, which ones are your favourite? During your employment in the industry what's the funniest thing that ever happened to you? Yes I attend many conference, expos and seminars around the world and have done for the past 15 years since being involved in the industry. The funniest thing that happened to me, well I really wouldn’t know where to begin so I will leave that to your imagination.